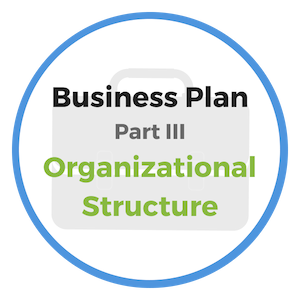 The Operations Structure begins Part III of our Business Planning course. Structure and process are the bookends of every highly successful company so it's important that you clearly define in the business plan how your business will be structured. There are several key areas for discussion related to the operations structure. First, we'll share details on the benefits of your business interior, location and overall facility. Then we'll provide information about the hours of operation for each business channel offered by the business. What is the amount of square feet your business requires? Will this amount of square footage allow for future expansion? Identify requirements/modifications required for the space. Are these requirements allowed within your lease agreement? Is the space attractive for displaying goods and provided services on-site? Describe how you intend to optimize the space. How will the flow of the interior contribute to a growth in sales? Work with your team to anticipate questions that might be asked by the reader of your business plan. The better prepared you to answer questions during your presentation, the better your chances will be to attract lenders or investors. Next, let's discuss the physical location and hours of operation. The physical location of your business is critical for some business types, for instance local retail stores. Location is less important for businesses such as Internet companies. If your business is not as dependent on location, you may have an advantage, which should be explained. If your location has been determined, provide details about how you made that decision. Outline the process you went through and the primary benefits the location provides to the future success of the business. If no location has been decided on, provide the process you intend to go through in making this important decision. Give the reader a strong sense that your approach is thoughtful and deliberate. Define the size, type and location you’d like to buy or lease. Explain how each factor enhances the opportunity for growth of the business. Does the location need to be at street level or can it be in an office building or high-rise? When considering the needs of your employees and customers, should the location be in close proximity to public transportation? When comparing potential locations for your business it’s important to consider access and traffic flow patterns. Is there adequate parking available? Does it have sufficient security in place? Do neighboring businesses compliment the type of customers who hope to attract? Does the location provide opportunity for signage that will be highly visible to passing traffic? Are there local ordinances that limit signs in your area? Next, be sure to address your regular hours of operation. For instance, ”Open Monday – Friday 8am – 5pm; Saturday 9am – 4pm; Sunday Closed”. If you operate on any online channels (I.e., website, call center, etc.) to service your customers 24/7/365, include this in your explanation. 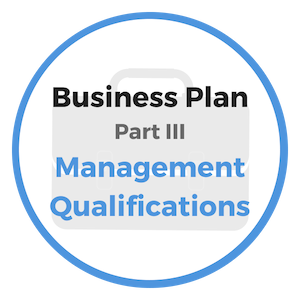 Okay, we still have some information to cover related to your Operations Structure section of the business plan. In the next couple pages we'll provide key information on the organizational structure of the facility. Also, we'll identify the management team and their respective qualifications to hold key leadership positions within the business. "A man who does not think and plan long ahead will find trouble right at his door." Systems and process are the mark of a successful business leader. 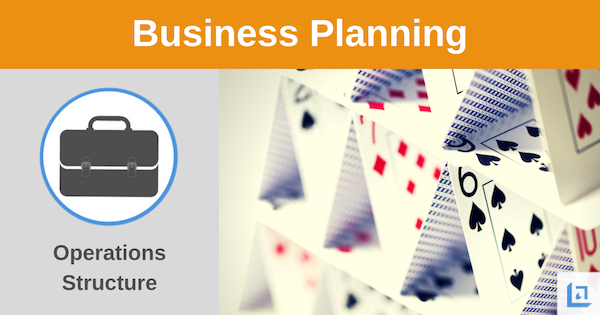 Too often businesses fail solely due to a lack of thoughtful planning. The same type of system, order and forethought that goes into the running of a city should go into the management of a country store. Business owners have frequently pondered over how they could have failed in their venture, never able to come up with one single reason when they have inventory piled high to the ceiling that has never once been properly accounted for. “Just for now”, is a term that has corrupted many establishments. Managers put off what they know they must do “just for now” and expect to get back to it shortly, but never do. They put off balancing their bank statements, “just for now”; they fail to monitor their sales strategy “just for now”; procrastination is the bad habit that is formed under the devilish promise of “just for now”. Implementing systems is how successful people ensure that important tasks are completed regardless of whether he or she is present on a certain day or not. With a system set firmly in place, you won't need to worry about things not getting done on time. Adopting a solid process is a great way to ensure good habits for your organization. If the process is good, so too will be the habits of your organization. Demonstrate in your business plan that Operations Structure is solid and that your business will be well organized for optimal production. 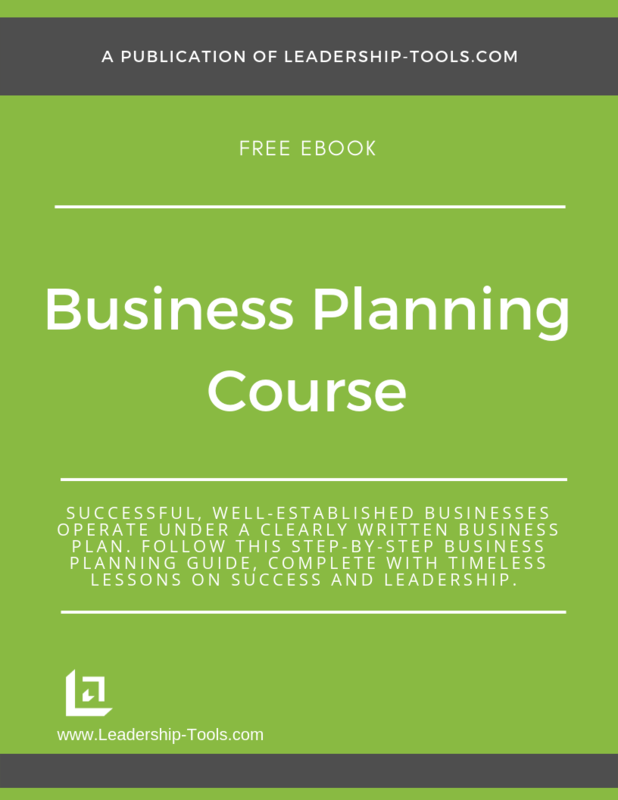 To download our free Business Planning Course/eBook, complete with details on the operations structure and step-by-step instructions for planning the future of your business, simply subscribe to our free newsletter. You will immediately receive a password that grants access to our entire leadership tools library.